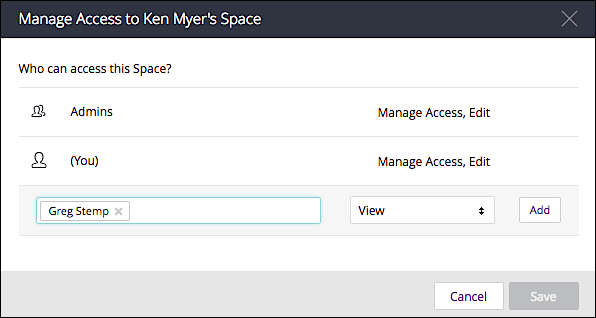 From your personal space, click the Settings icon and then click Manage Access. 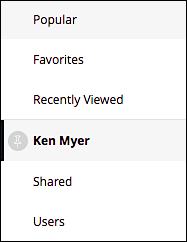 If you want to give the user or group View permissions (i.e., read-only permissions), simply click Add to add the user or group to the permissions list. Repeat the process as needed. 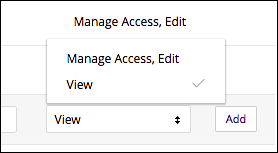 When you have added all the users and groups that you want to give access to, click Save. Repeat the process as needed. 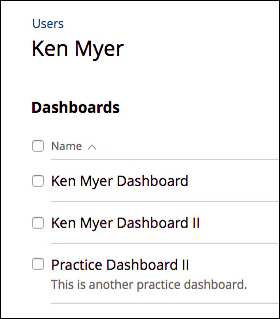 When you have finished removing users and groups, click Save. 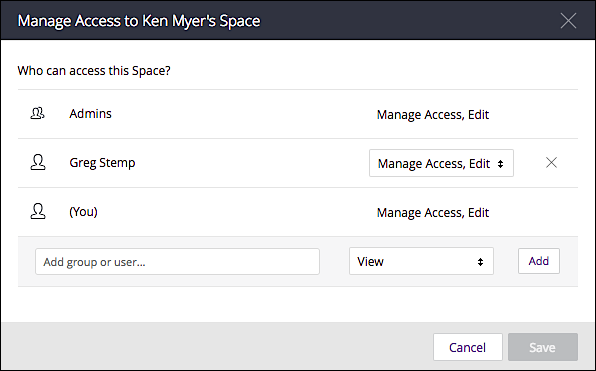 This option makes it easier for you to locate your personal space, something that can be useful in an organization with many spaces. If you’d prefer to go back to the default setting, simply click the Settings icon and then click Unset as Your Default Space.